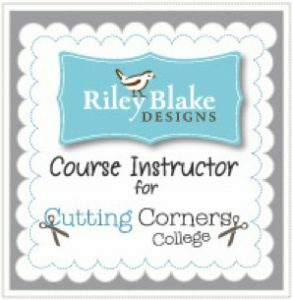 Today I have a new tutorial up on Riley Blake’s Cutting Corners College. It uses the new line, Roundup!, by Samantha Walker for Riley Blake. So many cute prints in lots of colors! 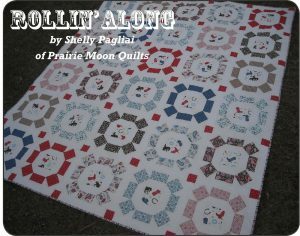 My quilt is called Rollin’ Along, since it’s based on the traditional Broken Wheel block. 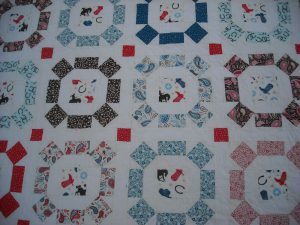 I really had fun making this quilt. 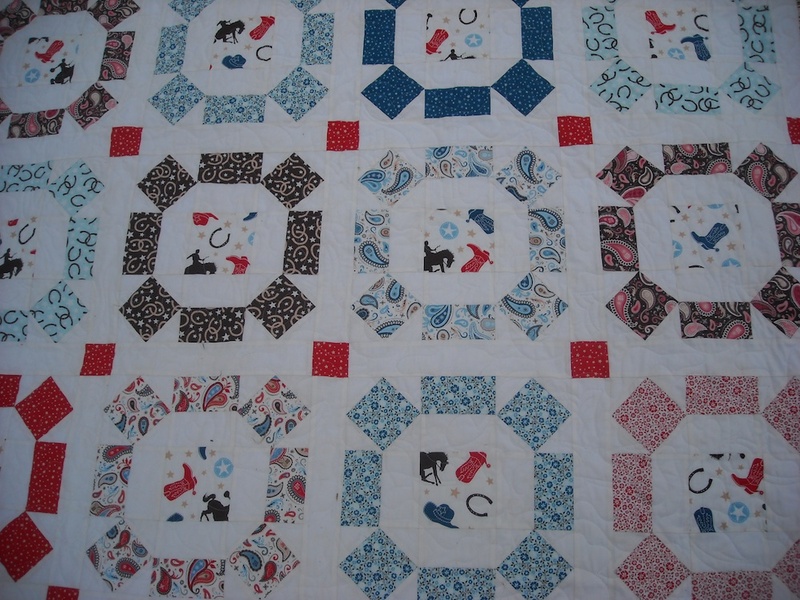 You can get the pattern for free by visiting the Cutting Corners College post HERE. Go download it and make one for yourself! Oh, Shelly, this is so cute! I love how you fussy-cut the fabric. The pattern is perfect and I love the touch of red in the corner blocks. That striped border just sets it off. Those fabrics make me smile! 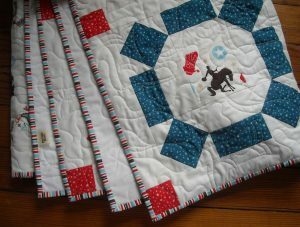 Awesome quilt Shelly! Very fitting for someone who lives on a ranch! Love it!!!!! Wow Shelly – I love everything about this quilt! I like it! Fun fabric and appropriate design. Love the fussy cut centers. Shelly, I absolutely adore this. Makes me want to go ahead and buy the fabric and make it. What a great job! Beautiful quilt, Shelly! Love the fabric and the fussy cut centers…and the striped binding….and the name! Wow! It’s very pretty! Thanks for sharing the tutorial!